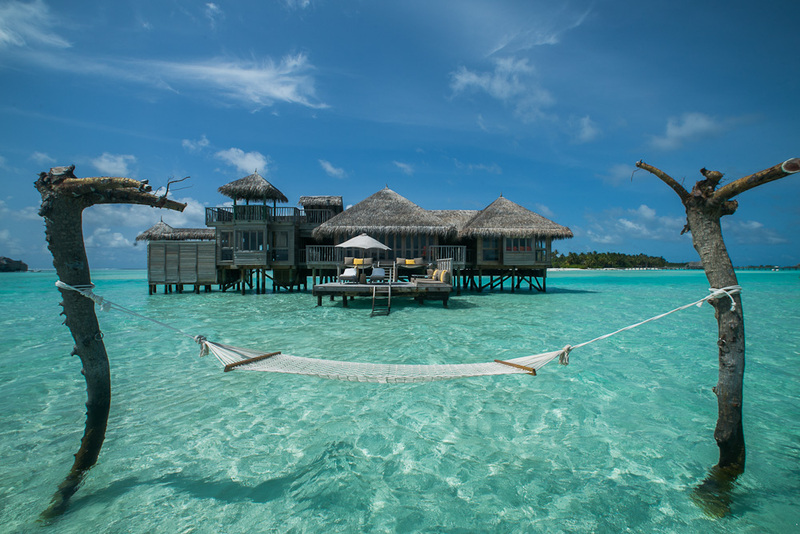 Your own private ocean hammock; Crusoe Residence, Gili Lankanfushi. 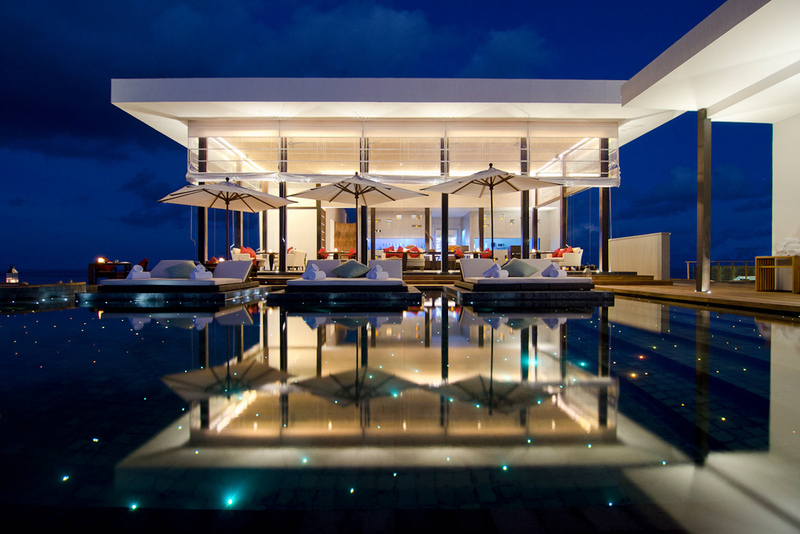 Right on the reef: Ocean Reef House, Amilla Fushi. A different kind of Maldives sunset aspect: Johara Pool, Jumeirah Dhevanafushi. 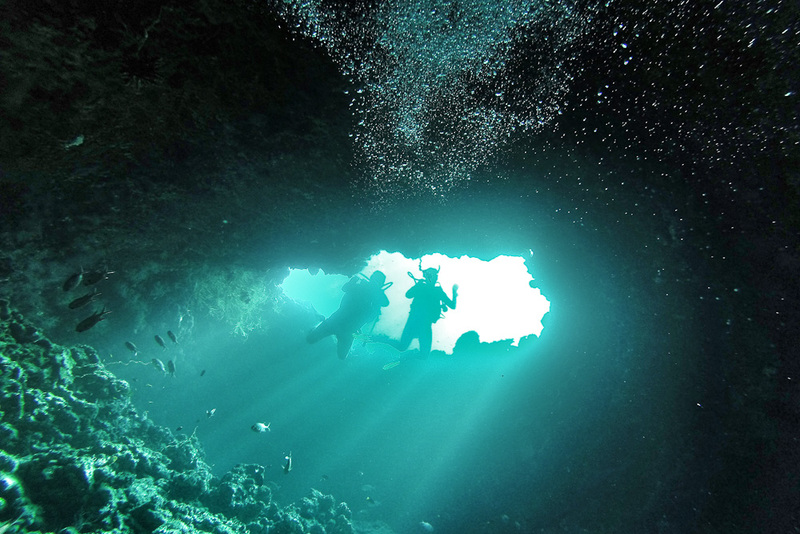 Underwater wonderland: Blue Hole, Baa Atoll. 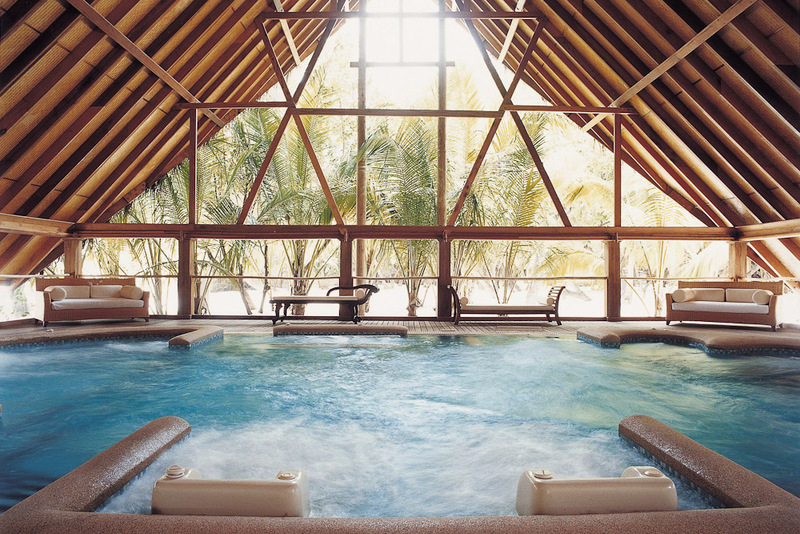 Hydrotherapy heaven: Cocoa Island By Como. 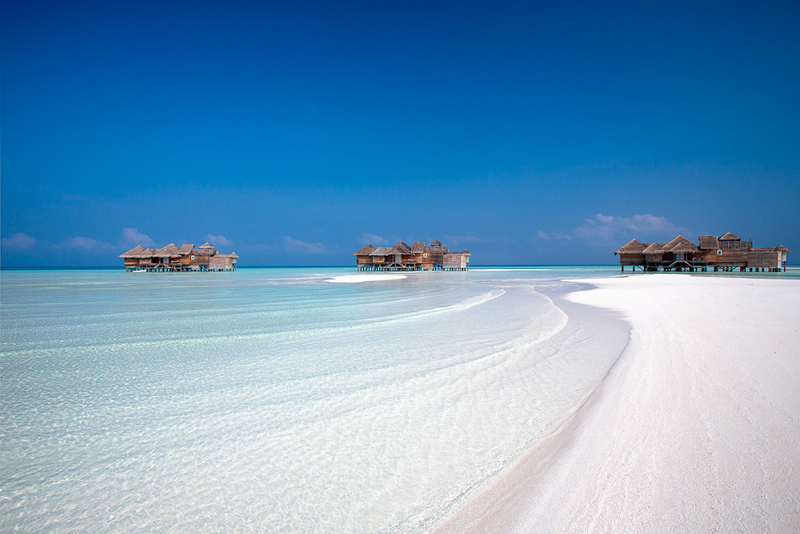 That Maldives moment: Gili Lankanfushi. Ocean to table at W Retreat & Spa, Maldives. What could you do on a Maldives luxury resort holiday with no limits, when money is absolutely no object? ‘Personal luxury travel concierge’ Di Lechner tells Steve Madgwick her best of the best resorts and experiences in the island nation. The Maldives is an expensive destination, but an equally expensive mistake to make if you choose the wrong resort. So if you are ready to splash the cash for your honeymoon or one-off splurge, you most well aim high. We asked personal luxury travel concierge Di Lechner, owner of independent Addicted to Maldives, to give us her top-shelf pick of accommodation, bars, spas and experiences in this Indian Ocean paradise. Unlike many open-water or lagoon villas, 250-square-metre Ocean Reef House at Amilla Fushi Resort & Spa is set right out on the reef, meaning the ocean is immediately accessible directly from the villas. The drop-off is literally right on your doorstep, so just pop on your flippers and snorkels and there are turtles and stingrays flapping around below. If you’re lucky (as Di once was), a pod of dolphins could swim by as you sip an afternoon glass of wine on the sunbed next to the villa’s private fresh-water pool. The Crusoe Residence villas (at Gili Lankanfushi resort) are the very definition of standalone, with a good 20 to 30 metres between you and your nearest neighbour. Forget about the usual jetty-accessed villas, here you are gifted a private paddleboat to get to and from the main island. Pop a book in your hand, swim out to your private suspended hammock, located in the clear water directly in front of the villa, and spend an hour or two catching rays. Soneva Fushi Resort’s Fresh in the Garden is all about making an entrance: climb up a flight of stairs to an elevated walkway, walk across a rustically wobbly, wood and rope suspension bridge, one at a time. The restaurant’s roundtable is the one to aim for. Perch on comfortable cushions on a platform nestled in treetops, overlooking jungle-like foliage, and the herb and vegetable garden below. The open kitchen is great for chef gazing, plus you should be able to find something to match your modern-Med meal in the 7000-bottle wine cellar. 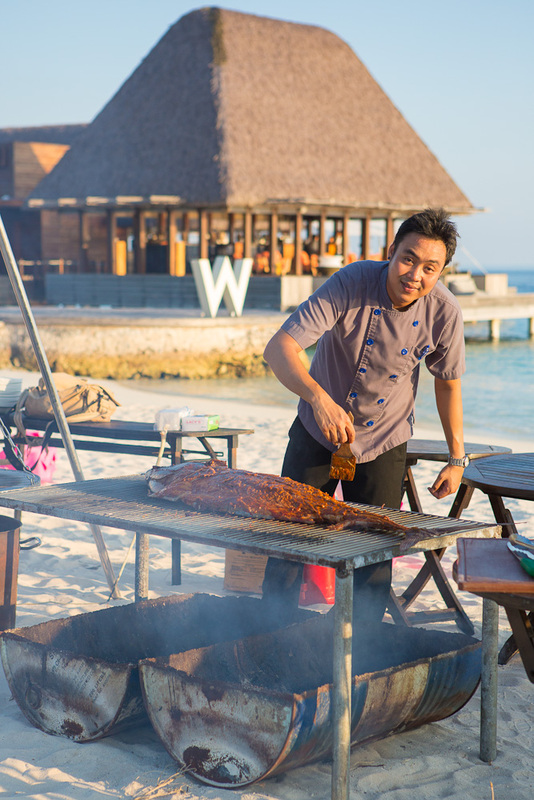 It doesn’t get much fresher than the Ocean to Table experience over at W Retreat & Spa. No, it’s not an empty slogan: your chef literally stands in the sea with a little grill to cook you the catch of the day. Most prefer to eat their succulent seafood on a cute beach-side table nearby rather than wading in. Another fine-dining option to pencil in is Velaa Private Island resort, known for its Michelin Star quality fare and impressive over-water dining option. Try an insanely good frozen sorbet cocktail in your choice of tropical flavour (pineapple with a splash of Malibu is recommended) at Gili Lankanfushi’s overwater bar, while you relax in one of the woven netted hammocks. Settle in for the sunset over the incredible lagoon that radiates the 50 shades of blue that many people associate with the Maldives. The clouds then melt into shades of peaches, pinks and creams. For a slightly different take on a Maldivian sunset, head down to the southern, more remote part of the archipelago to Jumeirah Dhevanafushi resort. The sunset over the main pool area here exudes deep oranges and reds – a different effect from your usual Maldivian blues. The Sip (the W Retreat & Spa’s overwater bar) is a bit more hip and happening then the laid-back ambience of the bulk of the Maldives’ bars. 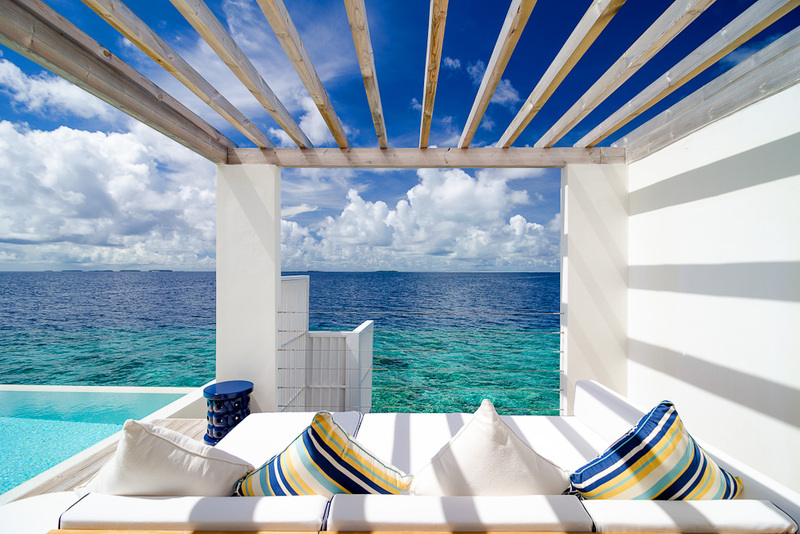 Recline on the floating daybeds and bop along to the DJ’s tunes. The Blue Hole on Baa Atoll is one of the most spectacular diving and snorkelling spots on the planet. Duck dive, take a deep breath, and swim past crazy coral, Nemo gardens and fish galore, then pop out the other end of the tunnel. It’s actually possible to swim out to it from Amilla Fushi, but generally a guide is recommended. Another do-not-miss is the lagoon at Hanifaru Bay, which serves as a feeding station for manta rays. Bountiful amounts of plankton washes in and it brings through masses of the energetic rays that all congregate there from May to November. For an all-encompassing detox week, Amilla Fushi runs an intensive health and wellness program called Bodyism, founded by Australian James Duigan. Set in its treetop villas, the program is aimed at those who don’t want to overindulge on food and alcohol on their holiday. Your mini-bar is stacked with healthy treats, fresh juices are delivered, and the daily treatments and activities are all-inclusive. Where to start for spa treatments? Velaa Private Island has an incredible ‘snow room’ for the ultimate hot-cold contrast, Scandi style; The Six Senses Spa at Soneva Fushi has gorgeous outdoor treatment rooms, in-built baths, all set among running water; while COMO Cocoa Island has an outdoor yoga pavilion of note. Despite the Maldives’ reputation as a couples’ nest, increasingly there are high-end options for families too. 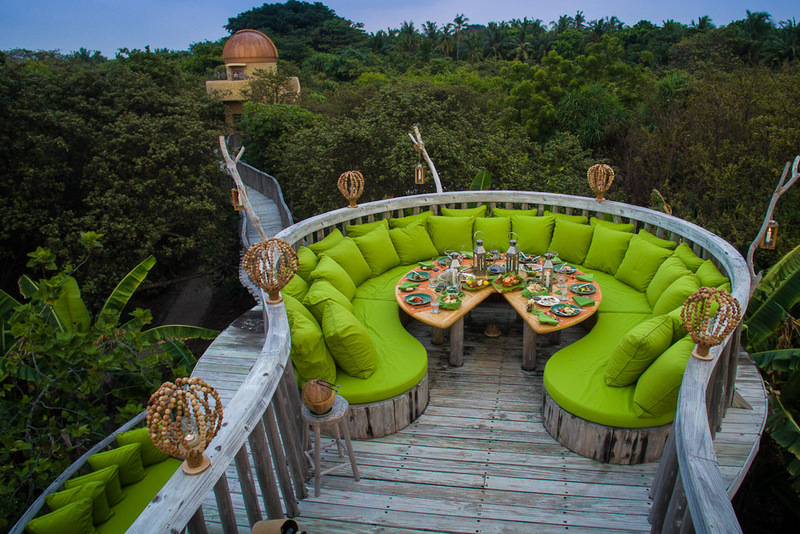 Soneva Fushi’s kids’ club, The Den, is up there with the best in the world. There’s a huge pool with slides, a keyboard on the floor that lights a fibre-optic ceiling and plays different notes as children walk up and down it, a designated Lego room and, get this, even a children’s mocktail bar. Other child-friendly notables include Amilla Fushi – which has its own marine biologist (in-house mermaid) who can take the kids snorkelling – and Per Aquum Niyama resort. Relative newcomer Finolhu resort is breaking away from the Maldivian couple mentality, offering its own take on a European beach club, complete with DJs. On its 1.8-kilometre powdery white sandbank is upbeat Mexican-beach-style Fish & Crab Shack, which serves softshell tacos and fresh buckets of prawns. It’s good for singles but also for groups of friends. What makes Di Lechner the Maldives expert? She runs luxury concierge service Addicted To Maldives and travels there around four times a year, after spending her honeymoon there nine years ago, and soon after having a “Maldives baby”. She is not aligned to any particular property. The rest of the world do not only see the Maldives as a honeymoon destination and it is seen by Europe and Asia as a family and friends holiday destination too and this is not new news. Some resorts have large beach houses.